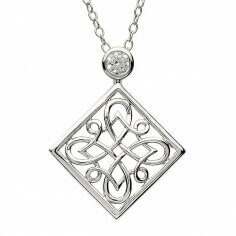 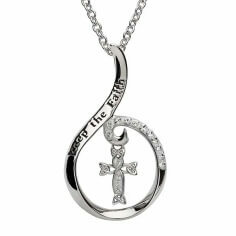 An intricate Celtic weave knot encircles a Swarovski® crystal encrusted shamrock that hangs in the center. 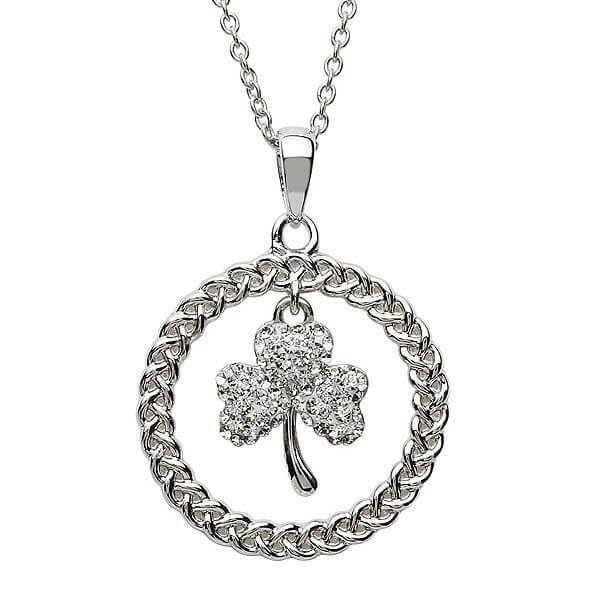 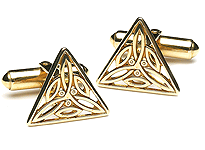 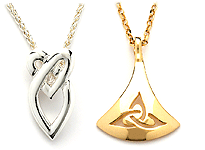 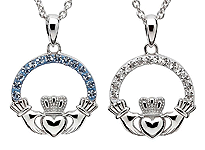 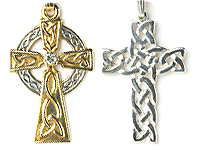 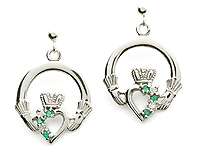 A great way to celebrate your Irish and Celtic heritage with a bit of bling in the mix. 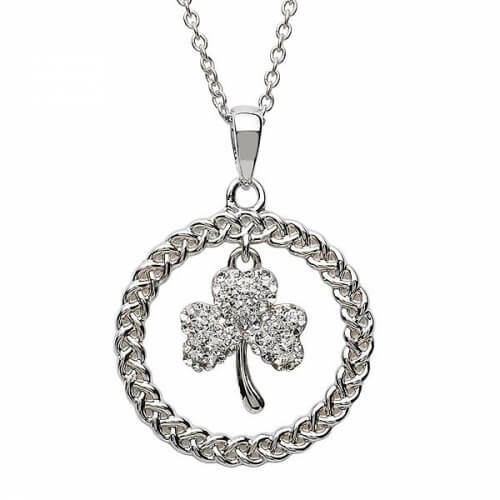 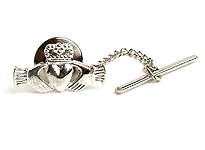 Handcrafted in Ireland by highly skilled craftsmen and then tested and hallmarked by the Dublin Assay Office.